The thought leaders at Abt Associates and the Center's affiliated experts have spent years conducting major studies to move policy from promising new practices through best practices supported by preliminary research to policies supported by a strong evidence base. We have worked with communities across the country to implement evidence-based technical assistance that addresses homelessness at the level of local systems and provided guidance to inform program design at the federal level. Click on the profiles to learn more about our experts. The founding director of the Center on Evidence-based Solutions to Homelessness is Dr. Jill Khadduri. Jill is a principal associate in the Social & Economic Policy Division of Abt Associates and a former director of the Policy Development Division of the Office of Policy Development and Research at the U.S. Department of Housing and Urban Development (HUD). She has been co-principal investigator for the Annual Homeless Assessment Report (AHAR) (together with Dr. Dennis Culhane) since the AHAR started in 2007. She also co-edited Towards Understanding Homelessness, a compendium of papers sponsored by HHS and HUD that documented the research base on homelessness as of 2007. Her research has focused on the intersection of homelessness and housing assistance, and she is the author of chapters on that subject in Ellen and O’Flaherty, How to House the Homeless (Russell Sage 2010) and in Burnes and DiLeo, eds., Ending Homelessness: Why We Haven’t; How We Can (Lynne Reiner Publishers 2016). Jill is a senior member of the Abt research teams conducting the Family Options Study, a randomized controlled trial of interventions for homeless families, and a follow-up study that seeks to further understand the rapid re-housing approach to serving people experiencing homelessness. She was principal investigator for a study of how public housing authorities attempt to serve homeless people. She is a senior advisor to the evaluation of the Conrad N. Hilton Foundation’s efforts to end chronic homelessness in the Los Angeles region and to the evaluation of the HHS Transitional Living Program for Homeless Youth. During her years at HUD, Jill was involved in the implementation of the earliest HUD-funded homeless assistance programs. She recently authored a history of HUD, a political and institutional record of the 50-year period following its founding in 1965, based on the literature on housing policies and programs and on interviews with 30 senior-level participant-observers. 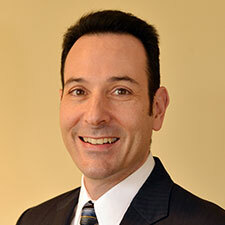 Tom Albanese is associate director at the Community Shelter Board in Columbus, OH. The Community Shelter Board is also a founding member of the Center for Evidence-based Solutions’ Systems Strengthening Partnership. 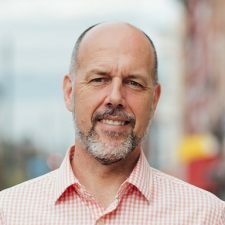 Tom has more than 25 years of experience designing homeless crisis response systems and helping communities build their capacity to achieve better outcomes. In his role as associate director at Community Shelter Board, Tom has overall strategic and operational responsibility for all program areas. He drives system and program strategy for the organization, leads system improvements informed by evidence, and represents Community Shelter Board on a local, regional, and national basis. Tom worked at Abt Associates from 2008 to 2017, most recently as a principal associate in the Social & Economic Policy Division. He served as a lead technical assistance provider for the U.S. Departments of Housing and Urban Development (HUD) and Veterans Affairs, supporting efforts to reduce homelessness among veterans nationwide by 47 percent between 2010 and 2016, as well as for New York City, supporting efforts to reduce homelessness among veterans in the city by 66 percent between 2014 and 2016. 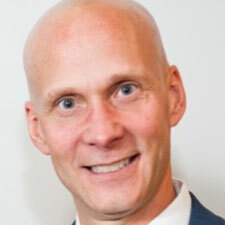 Tom also served as chair of the national technical assistance team for HUD’s Homelessness Prevention and Rapid Re-Housing Program (HPRP) and led efforts to support and strengthen homeless crisis responses systems through HUD’s CoC Check-Up, Priority Communities, and other technical assistance initiatives. Samantha Batko joined the Metropolitan Housing and Community Policies Center at the Urban Institute in September 2017. She will be working on homelessness and housing policy, evaluations of rapid re-housing and supportive housing, and examining systems change. 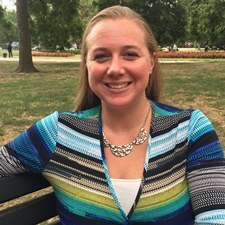 Samantha spent 12 years at the National Alliance to End Homelessness (the Alliance), where she developed expertise in homelessness policy, technical assistance, and research. 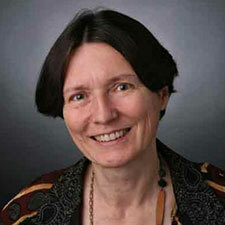 Most recently, Ms. Batko served as the Director of the Homelessness Research Institute at the Alliance. In this role, she monitored trends in homelessness, homeless assistance, and at-risk populations; identified and promoted promising local practices; and translated research to improve homelessness policy and practice. Samantha also served as the co-chair of the Alliance’s Research Council and promotes a Research Agenda for Ending Homelessness developed in conjunction with the Council. Prior to that position, Ms. Batko focused on crafting policy and identifying promising programs that end homelessness for unaccompanied youth and young parents as a member of the Alliance’s policy team. She also served as the Alliance’s lead staff person on issues affecting survivors of domestic violence. She has previous technical assistance experience helping state and local governments and nonprofits design and implement effective rapid re-housing programs, Housing First oriented homeless assistance systems, and coordinated entry and prioritization procedures. Dr. Alvaro Cortes is a principal associate in the Social & Economic Policy Division of Abt Associates and has extensive experience working on analysis and research on homeless populations. He has produced several Annual Homeless Assessment Reports (AHAR) to the U.S. Congress on the extent and nature of homelessness, and rigorous evaluations of programs designed to improve the economic and health outcomes of people experiencing homelessness. Currently, Alvaro is directing an evaluation of the Transitional Living Program for Homeless Youth (TLP) for the U.S. Department of Health and Human Services (HHS). TLP provides supervised shelter and services to homeless youth ages 16 to 21. The evaluation includes site visits to 14 TLP programs as well as a randomized controlled trial that will allow researchers to assess the impact of the program by comparing outcomes among eligible youth who are assigned to the TLP program and those who are referred to other services in the community. He directed a study for HHS that drew lessons from efforts by non-profit providers of homeless services to link their clients to housing programs, and he helped develop performance measures for HUD’s homeless assistance programs. 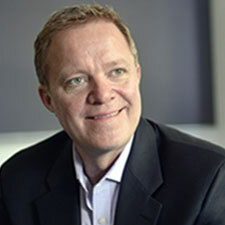 In addition to providing his overall expertise on homelessness to the work of the Center for Evidence-based Solutions to Homelessness, together with Dr. Dennis Culhane, Alvaro is leading efforts to develop a DataHub that will make data on homelessness more accessible and useful to practitioners. 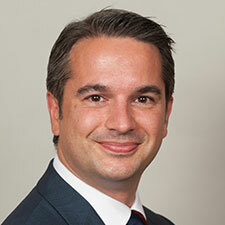 Dr. Daniel Gubits is a principal associate in the Social & Economic Policy Division of Abt Associates. One of Abt’s leading methodologists, Daniel conducts research in the areas of housing, homelessness, economic self-sufficiency, and disability policy. Daniel’s expertise is in econometric modeling, data analysis, and random assignment program evaluation. Daniel is director of analysis for the Family Options Study, a 12-site experiment comparing the success of different strategies to house families experiencing homelessness. The study followed 2,300 families for three years to understand how the strategies affected housing stability, self-sufficiency, family preservation, and adult and child well-being. He is currently leading an effort to document the evidence base on rapid re-housing and will conduct further analysis of data from the Family Options Study to better understand the effectiveness of that approach to serving families experiencing homelessness. 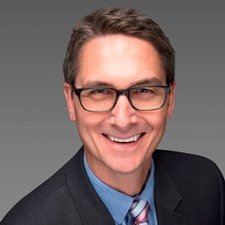 Daniel also leads impact analysis work for the Social Security Administration’s Benefit Offset National Demonstration (BOND) project, a random assignment impact evaluation that is testing the effect of work incentives for recipients of social security disability income. In previous work, Daniel led the analysis of employment, earnings, and benefits receipt for the Effects of Housing Vouchers on Welfare Families study, another random assignment impact evaluation. He also co-authored the impact and implementation reports for the Supporting Healthy Marriage study, conducted for the U.S. Department of Health and Human Services (HHS). Dr. Dana Eser Hunt is a highly-regarded expert on crime, substance abuse, illegal drug use and drug treatment whose research includes the use of both quantitative methods and ethnography. 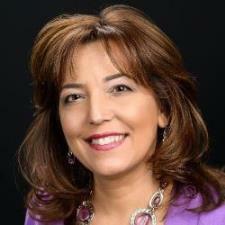 Dana is a principal associate in the U.S. Health Division of Abt Associates. At Abt, she managed the Arrestee Drug Abuse Monitoring (ADAM II) project — involving collection of data on drug use, treatment needs and drug market activity from a sample of 5,000 arrestees in 10 metropolitan U.S. counties each year. She also led the redesign of the original ADAM program funded by NIJ from 1997-2001, collecting data in 35 counties from arrestees within 48 hours of arrest. The projects were the only federal drug surveys able to validate self-reported drug use through testing and provide a real-time picture of drug use and drug market trends in the nation. Dana manages a diversity of projects, including a national evaluation of an eleven-city SAMHSA grant initiative integrating primary care, mental health, prevention, and substance abuse treatment for persons at risk or living with HIV and AIDS; a 125 grantee cross site evaluation of minority treatment programming for HIV; and the evaluation of a post incarceration program for high risk male offenders 18-24 years old. She is also the principal investigator on the Hilton Monitoring, Evaluation and Learning project for the Hilton Foundation evaluating and coordinating the work of over 35 grantees implementing drug and alcohol screening, brief intervention, and referral to treatment (SBIRT) for adolescents and young adults. Dana has numerous publications and presentation on issues of methodology, crime and justice, and drug treatment and is a regular reviewer for grant funding in the Department of Justice. 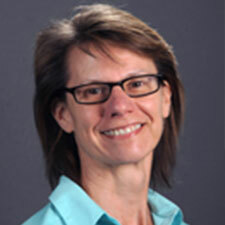 Gretchen Locke is a principal associate in the Social & Economic Policy Division of Abt Associates. She specializes in evaluation research on programs for people who have special needs, including people who have disabilities and people who are at risk of homelessness or experiencing homelessness. Her research has focused on individuals with chronic patterns of homelessness, permanent supportive housing, and the intersection of the housing and health systems. 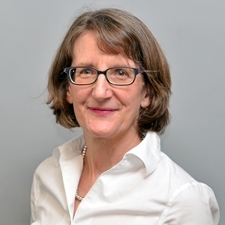 Currently, Gretchen is co-principal investigator on a study of the Section 811 Project Rental Assistance program, a new approach to providing affordable housing and services to very low income people with disabilities in subsidized housing also occupied by people with and without disabilities. She serves as a subject matter expert for an evaluation of technical assistance provided to states in order to strengthen partnerships between housing and Medicaid agencies and better meet the needs of homeless and disabled adults. She also directs two large national studies of a health care occupation training program for low income, entry-level workers. Gretchen completed a multi-site study for the U.S. Department of Health and Human Services (HHS) on linking housing and Medicaid-funded services in permanent supportive housing. She also directed a study of development and operating costs and tenant and neighborhood outcomes of permanent supportive housing in Connecticut and a random assignment study of the HomeBase homelessness prevention program for families in New York City. Together with Jill Khadduri, she was a co-editor of Towards Understanding Homelessness, a compendium of papers documenting the research base on homelessness published by HUD and HHS in 2007. Alisa Santucci is a principal associate in the Social & Economic Policy Division of Abt Associates. Alisa has over 25 years of experience in the health and human services field providing program management and direction to highly visible programs and initiatives for vulnerable populations in areas such as mental health, transitioning foster youth and system involved individuals. Alisa’s work includes providing senior level guidance to the executive and legislative branches of the Federal and State government and technical assistance to State and local leadership and practitioners related to effective practice models for prevention and intervention, evaluation and outcomes, capacity building and sustainability. 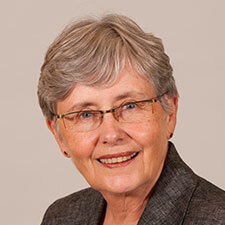 She has also been instrumental in identifying and marshalling research evidence on child-welfare, including in the areas of child abuse and neglect, child protection, family preservation and support, foster care and more, to inform special initiatives on these topics. She currently provides technical assistance to HUD’s Community Compass and Youth Homelessness Demonstrations programs. She has conducted site visits for the Federal Children’s Bureau Permanency Innovations Initiative (PII) grantees in California (California Partners in Permanency and RISE/Los Angeles County), a 5-year initiative to develop, implement, and evaluate interventions to reduce the problem of long-term foster care in areas such as access to supportive connections, housing and career pathways. This project worked to advance the field of child welfare by building capacity and contributing to the collective knowledge of evidence-supported interventions. She also provided technical assistance to the implementation of the National Youth in Transition database. Her trauma-informed clinical experience encompasses working with at-risk children, youth, and families in the areas of children exposed to violence such as child abuse, physical abuse, neglect, human trafficking, substance use, intimate partner violence, trauma, and counseling for children, youth, and families. Brooke Spellman is a national leader in conducting research and developing strategies to improve policy and programmatic responses to homelessness and poverty. A principal associate in the Social & Economic Policy Division of Abt Associates, she has expertise in using Homeless Management Information System (HMIS) and mainstream system administrative data to understand homelessness, patterns of homeless service utilization, client outcomes, and homeless and mainstream system costs. 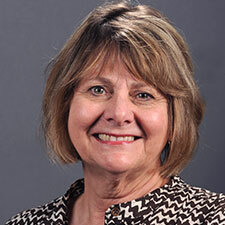 Her work includes strategic planning, facilitation, system- and program-level service delivery, research and evaluation, technical assistance and training, performance measurement, outcomes-based funding and grants management for local government and nonprofits related to homelessness, the Continuum of Care planning processes and HMIS. Brooke led a HUD-funded evaluation of the efficacy of the HUD Rapid Re-housing for Homeless Families Demonstration; was actively involved in the Family Options Study, a random assignment study of interventions for homeless families; and is actively involved in the evaluation of the efforts by the Conrad N. Hilton Foundation to end chronic homelessness in the Los Angeles Region. She has extensive knowledge of and past experience in managing homeless systems and HUD grant programs for housing and homeless assistance programs in large urban and metropolitan county areas. 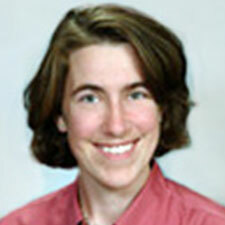 Michelle Wood is a principal associate in the Social & Economic Policy Division of Abt Associates. Michelle has more than 28 years of experience managing large-scale national program evaluations and applied social science research. Michelle serves as Project Director for the Family Options Study, which examines the effects of various combinations of housing and services for homeless families on five aspects of family well-being: housing stability, self-sufficiency, adult well-being, child well-being, and family preservation. The study randomly assigned nearly 2,300 families who sought assistance from emergency shelters in 12 communities to one of four intervention groups. The team collected baseline data, conducting periodic tracking interviews, and undertook follow-up survey data collection 20 and 37 months after random assignment. Michelle also leads a long-term tracking study with the Family Options Study to conduct tracking interviews with the study families 72 months after random assignment. Michelle is a Co-Principal Investigator for an in-depth study of program models and implementation and participant experiences in rapid re-housing. The Understanding Rapid Re-housing Study is conducting a systematic review of research on rapid re-housing, collecting detailed information from all rapid re-housing programs, and is conducting additional analysis on the Family Options Study. Michelle also led a study to examine service costs in supportive housing programs and is working on a team to investigate Medicaid access, utilization and costs for households that use permanent supportive housing.